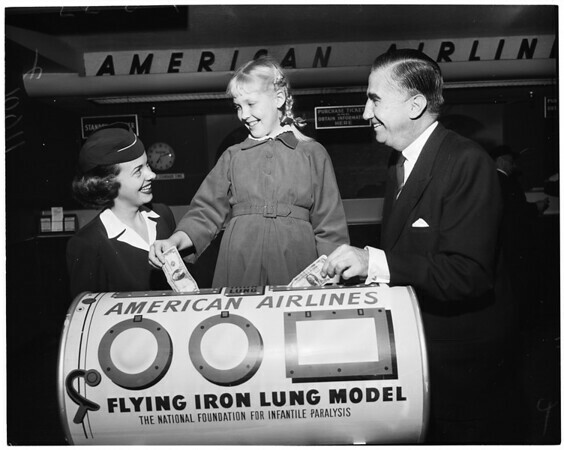 Supplementary material reads: "9-year-old Beverly Bruggeman, center [...] the first dollar [...] 'Flying Dime Ban[?]... Looking on are: Stewardess Beryl Berkey & Jack Kunrts, of the L.A. Co. Chapter, Nat'l. Foundation for Infantile Paralysis. Beverly was cured of polio through the Foundation."